This lovely little white cotton blend baby dress is made by Feltman Brothers, a leading designer of classic baby clothes for 100 years. 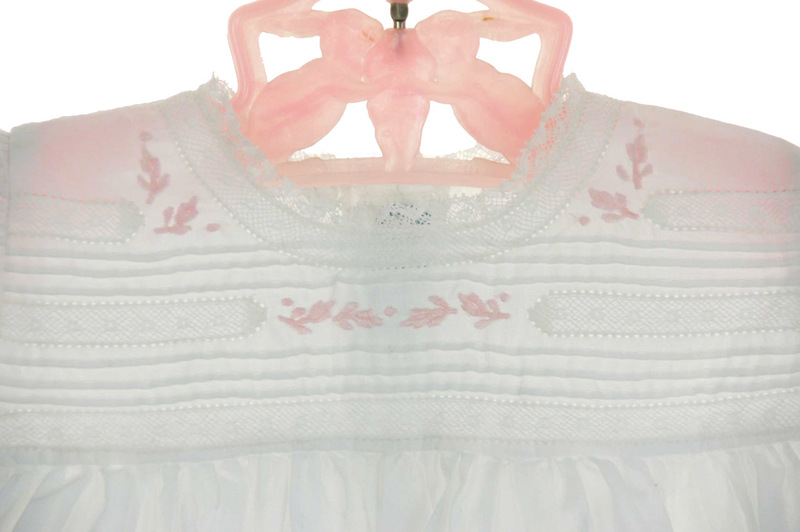 It features a horizontal pintucked yoke with white lace insertion and delicate pink embroidery. 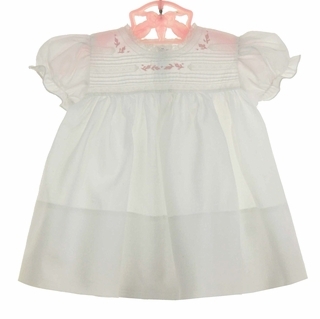 This sweet little dress has a lace trimmed neckline and short puffed sleeves finished with elasticized ruffles. The dress closes in the back with two small buttons. 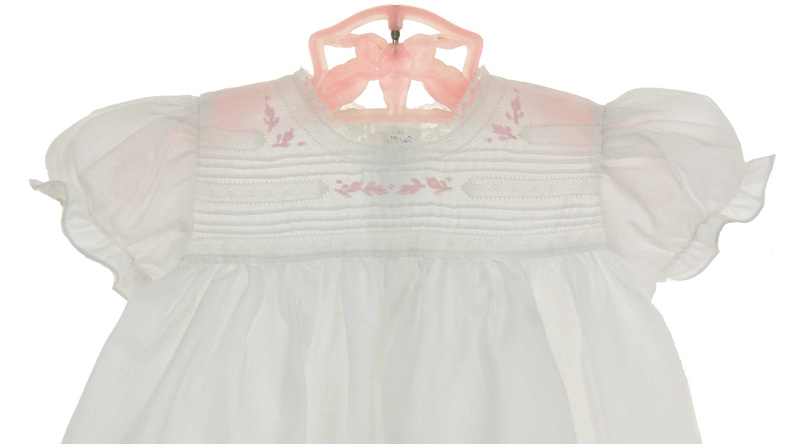 The perfect classic dress for baby's first portrait, christening, baptism,or dedication.